Sight-fishing means constantly searching, investigating and negotiating the elements. 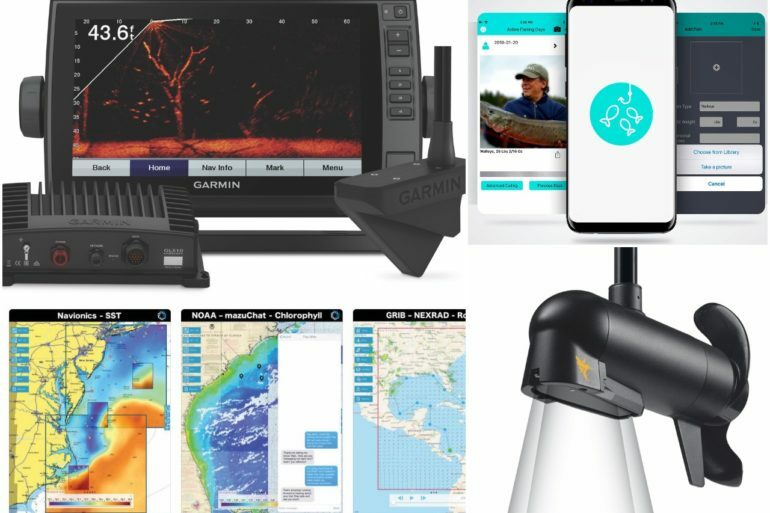 It’s about trying to understand where the fish are and, more importantly, how to catch them. And I love it. My home waters in Eastern Ontario, however, never offered that kind of fishing. Or so I thought. Then a few years ago, I stumbled upon a fish I’d never paid much attention to before: the longnose gar. And once I began sight-fishing for these fascinating ancient fish, they soon became one of my biggest angling obsessions. Armoured with huge, tough scales and sporting a long, toothy, beak-like jaw, longnose gar have been around since T. rex roamed the earth some 100 million years ago. Due to their limited distribution in Canada, however, they’ve never really caught on here as a popular gamefish. And although they’re considered good eating by our neighbours to the South, gar are not thought of as table fare in Canada, no doubt partly due to their slimy bodies and terrible smell. And catching gar is something Jackson knows all about—he’s the holder of the current Ontario longnose record, a 54-inch, 20-pound giant. 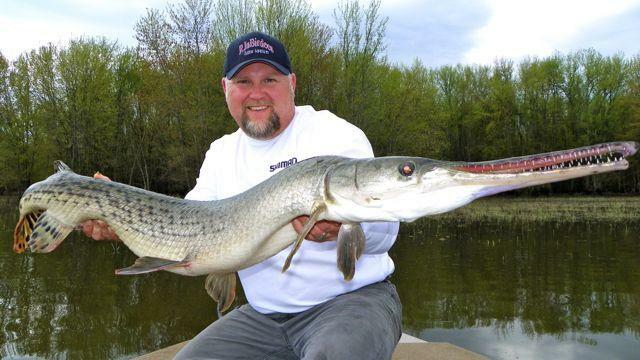 We asked Jackson and fellow gar-fishing expert Nick Pujic to share their secrets for sight-fishing these prehistoric predators. Guide Rob Jackson with a huge gar. In Canada, longnose gar range across southern Ontario and Quebec, with significant populations in Lakes Huron, Erie and Ontario, as well as the St. Lawrence and Ottawa Rivers and their tributaries. However, anglers may never see these fish—or even know they exist—unless they venture into the weedy back bays where gar live during the warmer months. To find them, trim up your motor, wade the shallows or paddle a kayak and keep a keen eye out. Once you see one, you’ll see many. Watch for their long snouts sticking out of the water—along with gills, the gar has an air bladder that can function like a lung, letting it gulp air. This enables the fish to live in water with very little oxygen. And since gar have no real predators, the select waters that hold them have healthy populations. 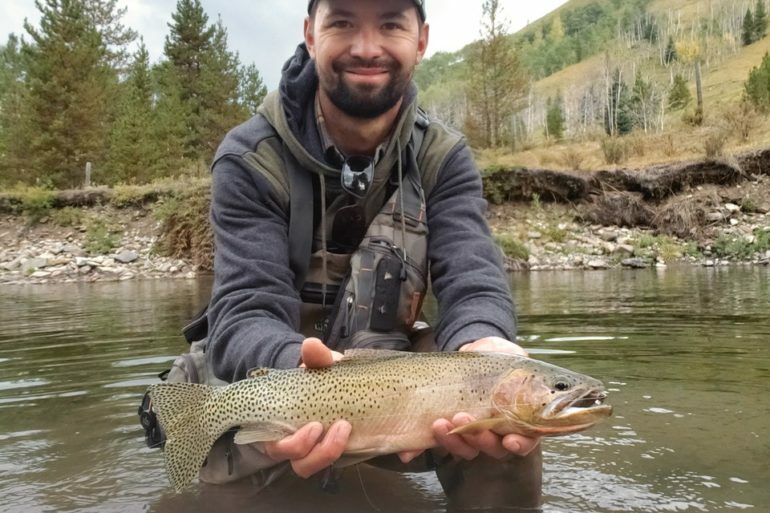 When conditions are right, it’s not uncommon to see more than 100 fish covering the flats. Nick Pujic is the co-founder of Vantage Point Media House, producers of outdoor videos and televisions shows, including Fly Nation TV. He grew up targeting longnose gar around Belleville, Ontario, where he fishes for them on the fly, especially on hot days. In the fall, anglers hunting for muskies will often see gar splashing on the surface while chasing baitfish high in the water column. These fish, advises Jackson, can be caught using crankbaits. For the fly angler, a 7- or 8-weight outfit is best for gar. It’s possible to go lighter, but every day on the water presents a very real chance of hooking a four-footer. Since it’s skinny water, stick to a floating line, with an eight-foot, 60-pound fluorocarbon leader. Some anglers use pre-made leaders with wire and a swivel, but I’ve never found it necessary. For flies, I like a four- to six-inch slender minnow pattern, in white and red or white and chartreuse. In stained waters, the bright colours will help you keep an eye on the fly as you retrieve it. On warm days, both flies and lures can be retrieved faster. 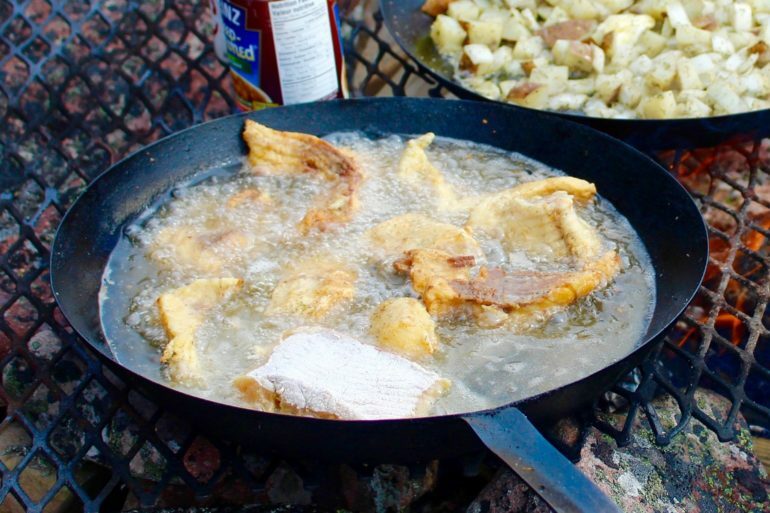 On cooler days, however, a gar won’t move as far for dinner, so you have to slow down your presentation. Pujic has thrown many different flies at gar, but his favourite is a bunny leech pattern. A bunny fly sinks slowly, has a lot of motion, and when gently stripped alongside a gar’s snout, it’s seldom rejected. Pujic ties his gar flies on small-gap, ultra-sharp, fine-wire hooks (below). Jackson, meanwhile, casts shallow-water crankbaits with a seven-foot, six-inch flippin’ stick rigged with 40-pound braided line and, somewhat surprisingly, no leader. As for lures, the Jackall Cherry Zero Footer, Rapala X-Rap and 1-Minus from Mann’s Bait Company have all put numerous fish in his boat. Shallow-running cranks are excellent for gar. Once you’ve located a cruising or resting gar, cast past the fish and bring your offering parallel to its snout. Gar will often turn and snap to feed, so this positioning gives you a better chance of hooking the fish in the side of the mouth, where the hook is more likely to stick in the bony jaw. 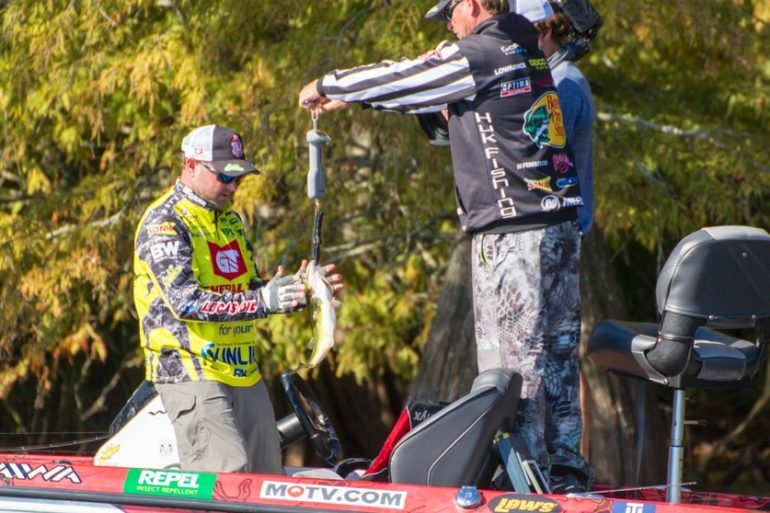 Jackson will even chase fish with the trolling motor, trying to position his clients so they can make the perfect cast. Unlike many fish, gar will strike a fly more than once if you miss a hook-up, so keep stripping in. A gar will also often jump and roll when hooked, sometimes wrapping the line around its beak and improving your odds of boating it. Whether fishing with lures or flies, though, it’s best to land these fish as quickly as possible, as they can still shake the hook even if it’s perfectly lodged in the corner of their mouth. 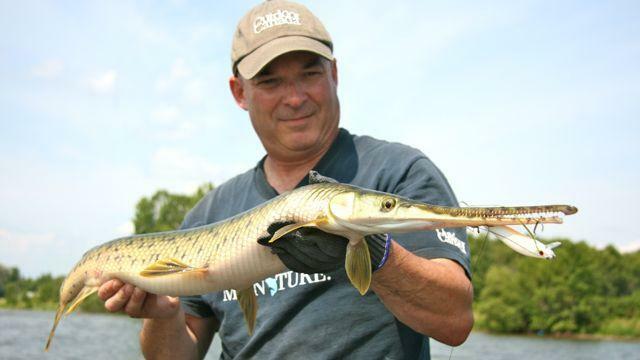 Will we ever see longnose gar emerge as a top quarry for Canadian anglers? Despite the gar’s unique appeal, I doubt it. In many places, peak time for gar fishing corresponds with the walleye and northern pike openers. And as mentioned, the gar’s limited distribution keeps it off the radar of many anglers. But the next time you’re on the water and your usual target species aren’t cooperating, cruise into the back bays and have a look. You may find a new favourite fish to chase in the shallows. I know I have. Ottawa’s Jamie Pistilli also counts atlantic salmon, carp and muskies among his favourite fish to catch.